On behalf of the International Scientific Organizing Committee, I welcome you to Vasculitis 2019: The 19th International Vasculitis & ANCA Workshop. The discovery of anti-neutrophil cytoplasmic autoantibodies (ANCA) and their association with small-vessel vasculitis inspired the first International ANCA Workshop held in Copenhagen in 1988. 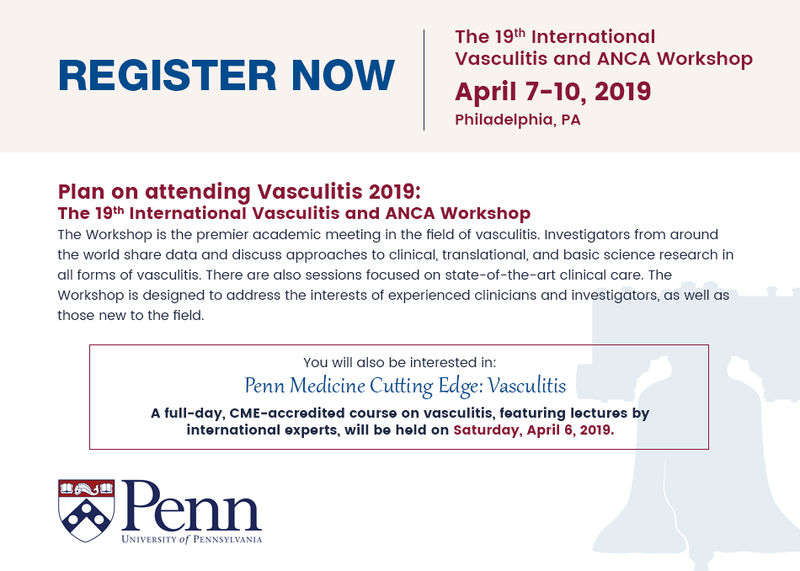 While interest in ANCA-associated vasculitis remains high, the Workshop has steadily expanded to include the clinical aspects and pathophysiology of all forms of idiopathic vasculitis. There is no other scientific venue other than the International Vasculitis & ANCA Workshop that allows for the in-depth discussion and sharing of newly-generated data on mechanisms of disease and novel approaches to treatment across the range of vasculitis. The Workshop brings together international biomedical scientists and clinicians from multiple disciplines and specialties who are interested in basic and translational science discoveries, data from clinical trials, and advances in clinical assessment. Through discussion of pathophysiology, genetics/genomics, biomarkers, outcomes, and therapies for vasculitis we will advance knowledge of this complex and fascinating group of rare diseases. Vasculitis 2019 will include over 525 attendees from over 40 countries discussing their research through the presentation of over 360 abstracts. We are especially pleased to welcome many early investigators, junior faculty, and trainees, and have designed programs to facilitate attendees to participate, interact, and share ideas through both formal scientific sessions, interactive poster and breakout sessions, and social events. We hope your interest in the field grows and that opportunities arise to develop relationships with both junior and senior colleagues that lead to synergistic and collaborative research ideas. The Workshop remains a unique venue for addressing the clinical and scientific complexities and broad scope of organ involvement that are the hallmarks of the vasculitides. Our goals for this year’s Workshop are to advance both basic and clinical studies in vasculitis, and, ultimately to improve the outcome of patients with these conditions. 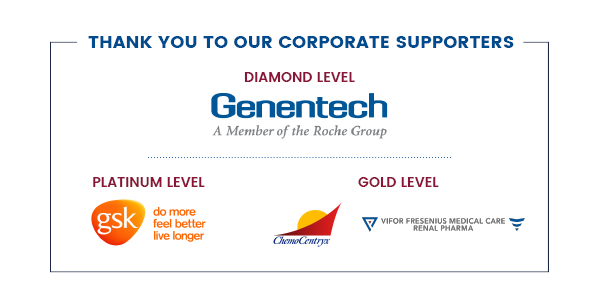 The Workshop continues to thrive only through the active participation and support of the entire vasculitis research community and our generous sponsors. We look forward to an exciting Workshop and welcoming you to Philadelphia for Vasculitis 2019!